This is my favorite rpg cover art. I wanted to be this dude. What the hell is behind those doors? It looks kinda scary, but I sure want to find out. 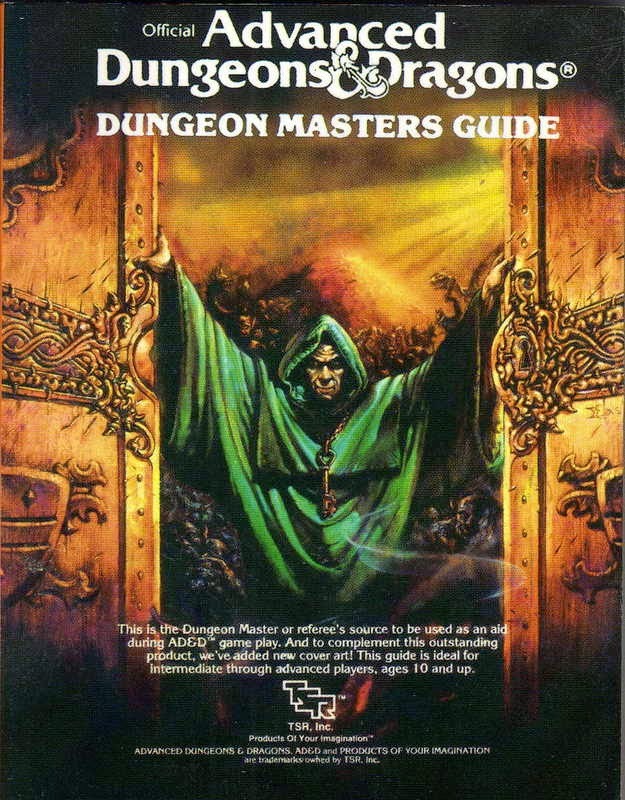 If I could find a robe like that I would dress up as the AD&D Dungeon Master for Halloween. This picture captured what D&D was for me as a kid, something awesome and terrible that lurked behind the doors of imagination. This book will always have a special place on my shelf.